Engine with Tier 3 certification and Common Rail technology, which provides higher efficiency and fuel savings. 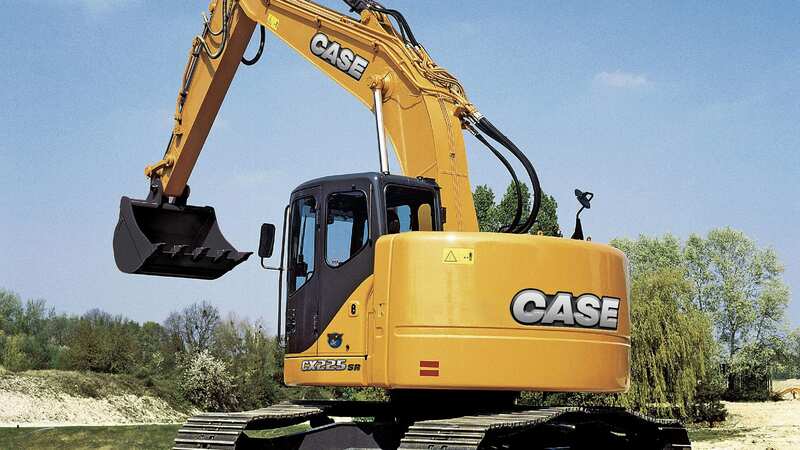 The PowerBoost function increases the hydraulic system up to 10%, thus improving the excavating power. Excellent visibility. Right-hand window with optimum view towards the right-hand track inner side. Tier III Certified and Common Rail technology engines provide more efficiency, increased fuel economy and less machine vibration, noise and pollutant emissions. 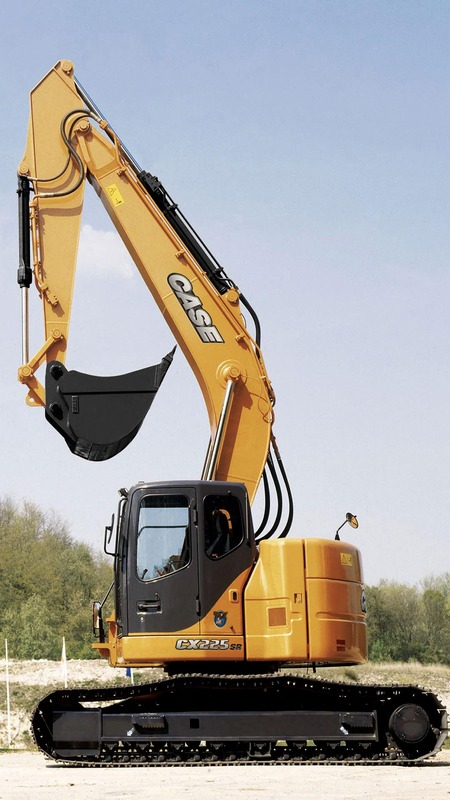 Compact Counterweight and boom location result in the excavator high productivity and maneuverability, which makes it the ideal solution for restricted areas. 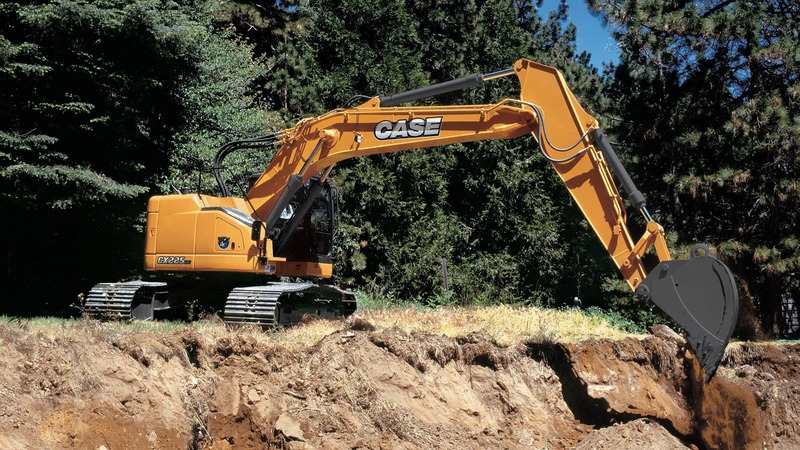 Ergonomic controls including a selectable one touch accelerator/decelerator and a two-position mode selector: S & E.
Quick daily inspections from the ground keep Case excavator working longer during the day. Filtration and Ultra-Cleaning system enables oil change intervals to be extended up to 500 hours. Longer service intervals allow maximum use of working hours. Adjustable Deluxe seat with 76 mm (3") retractable seat belt. Selectable one touch or auto accelerator/decelerator. Work mode selector: S, E.
Pump flow reduction in neutral. Anti-slip arm and boom (antidrift) valves. Shoes: 800 mm (31,5") triple grousers, 49 per side. Track length: 4,46 m (14' 8"). Standard gauge: 2,39 m (7' 10"). Counterweight: 5.940 kg (13.095 lb). One single action pump (includes heavy duty bucket linkage). One or two double acting pumps (includes heavy duty bucket linkage). General double acting hydraulic system for use with the jaw kit. Load holding control devices mounted on the cylinder.